Maintain business records to qualify for self-employment deductions. Self-employed individuals are eligible to deduct a number of charitable contributions and business-related expenses from their taxes, reducing their tax burdens. Careful bookkeeping and record keeping is vital to ensuring you get the maximum number of deductions allowed by law. This is especially important when documenting services and goods. A variety of charitable contributions can be deducted from your taxes. The deduction you claim is actually an individual deduction, either in your own name or the name you do business under, rather than a corporate deduction. Eligible deductions can range from 30 to 50 percent of adjusted gross income. 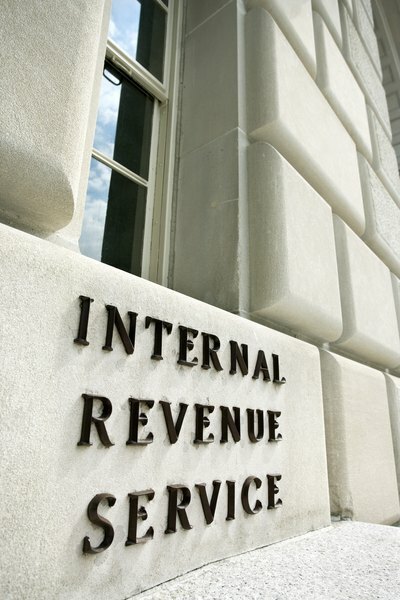 Visit the U.S. Internal Revenue Service website for information on what constitutes an eligible charitable contribution, and the corresponding allowable deduction. Even if you do pro-bono work, such as donating time as an attorney, you cannot deduct the hours you volunteer. However, you may be able to deduct certain expenses made while volunteering, like your mileage or purchase of uniforms that are unsuitable for everyday use. The same applies to donating tangible goods, like products or merchandise. Some tangible donations may be subject to valuation at fair market value to calculate your eligible deduction. According to the IRS, deductible business expenses must be necessary and reasonable. You can deduct some start-up costs, the cost of office supplies, raw materials, marketing and advertising materials, office space, equipment and furniture and business entertainment. You can also deduct website development and hosting, professional business memberships, business publication subscriptions and business travel and convention fees. Work cell phones, laptops, tablets, PDAs and other electronic devices are deductible for the self-employed, provided they are used exclusively for work purposes. If you have employees, their salary is deductible as well. For best results, maintain good records, track expenditures and consider hiring an accounting or tax specialist when it comes time to file your return. If you have a home office, you can typically deduct a portion of your mortgage interest as well as a portion of your utilities. Your home office must be used for the express purpose of conducting business. To make accounting easier, particularly for utility write-offs, make a copy of each month's bills and calculate the percentage attributed to your home office space, highlight it and keep a copy of the invoice for your records. This will make it easier to calculate figures at tax time and validate your expenditures, if necessary. You can deduct costs associated with using a vehicle for self-employment business purposes. If you have a car dedicated strictly to business use, payments, insurance, maintenance and upkeep are all deductible expenses. If you use a personal vehicle for business purposes on a part-time basis, you can only deduct the costs associated with your business use. For example, if you use a personal vehicle for freelance work 20 percent of the time, you can deduct 20 percent of your vehicle expenses. Another way to deduct transportation costs is to take a standard mileage deduction, which varies from year to year.